One time, after he said that to me, I said, "What about the Corvair? That's supposed to be the most unsafe car." I loved reading your anecdote Bob! From the day I first saw one of those black "VW bugs" I was hooked on VWs, especially the VW "yodie" buses. 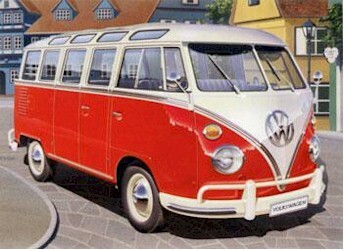 I can't operate a motor-vehicle because of medical but, I really love seeing those vintage VW autos! When he was a little kid, my older son called these cars "Yodie Buses" and we could never figure out why. He actually hid his head when he saw one coming toward him. He grew up to be a lawyer. Now what does that say?